Do you suffer from occasional, seasonal or regular migraines? You’re not alone. Migraine.com states: “In the U.S., more than 37 million people suffer from migraines. 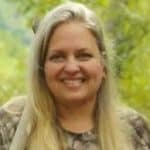 Some migraine studies estimate that 13 percent of adults in the U.S. population have migraines, and 2-3 million migraine suffers are chronic.” As a migraine sufferer myself, I've learned to recognize the symptoms and what I need to do for migraine relief. For those of you who have never had a migraine, I compare it to the equivalence of an abscess toothache or a full-blown ear infection. The pain is intense and unrelenting. If you regularly have migraines, please see your doctor, as the pain may be a sign of serious illness. This post is for informational purposes only and is not intended to diagnose or treat any illness. These are techniques I have used for migraine treatment, but each person is different. Always use caution when considering herbal treatments for migraines. Discuss your decision with a healthcare professional before beginning or stopping any medical or herbal treatment. Many herbs interfere with other medications. Migraine headaches are caused by excessive dilation of the cerebral blood vessels, but scientists do not fully understand what causes the dilation in the first place. Blood vessels don't just dilate spontaneously, so they are likely responding to chemical changes in the body. Migraines can be hereditary. If one parent has a history of migraines, their child has a 50% chance of getting them, and if both parents have them, the risk jumps to 75%. Migraines can be a warning sign of a more serious condition. Migraines can occur along with many other health problems, such as asthma or depression. More serious conditions, such as tumors or infections, can also cause migraine symptoms.Again, please see a medical professional before self-diagnosing or treating. My grandmother and father both suffered with migraines for years before seeking medical attention. When the pain became too debilitating for my grandmother she finally went to the doctor, they discovered she had a brain aneurysm. Her doctor did emergency surgery and she has been disabled ever since. Fast forward 34 years, my father was suffering the same fate. Again, he didn’t go to the doctor. When seeing his doctor for unrelated issues, he discussed his migraines and the doctor ordered a CT scan, my father also had an aneurysm. Thankfully medical technology has advanced in the last 34 years and the surgery went without incidence and he leads a normal life. There are over 150 different types of migraines and headaches. If you can determine and identify the type of migraine or headache, it helps you to choose the right migraine treatment. There are two major types of migraines. The most common migraine type is Migraine without Aura. Pain can occur without warning and symptoms can include but not limited to: pulsating headache pain on one side of the head, nausea, blurred vision. Fatigue, sensitivity to light, sound or smells. Migraine with Aura, referred to a classic migraine, includes visual disturbances that occur 10-60 minutes before the onset of the actual headache and can cause temporary loss of vision. Migraine with Aura may or may not be accompanied by headache pain. Other symptoms may include but not be limited to: numbness, tingling sensations, confusion, loss of appetite, sensitivity to light and sound. Ocular Migraines – Ocular Migraines cause temporary vision loss or blindness. Sometimes they are accompanied by a migraine headache. Ocular Mirgaines are the types of migraines I suffer from. Once the vision loss starts, I know I have about 30 mins to get to safety and prepare for the onset of the pain. Always notify your doctor if you suffer from Ocular Migraines. Hemiplegic Migraine – Hemiplegic Migraine is a rare form of migraine that causes temporary paralysis, sometimes lasting several days. Familial Hempilegic Migraine –Familia Hempilegic Migraines are when they run in the family. Status Migrainosus – Status Migrainosus Migraine is a migraine attack that lasts for more than 72 hours. Migraine without Headache – Migraine without Headacheis characterized by visual problems or other aura symptoms, nausea, vomiting, and constipation, but without head pain. For more information about migraines contact the American Migraine Foundation. Sinus Headaches – Sinus headaches are the build-up of pressure in your sinuses causing a pain that feels like a headache. Tension Headaches (stress headaches) – Tension headaches (the most common) are a dull pain, pressure around your forehead and back of neck. Tension headaches can last from 30 minutes to a few days. Cluster Headaches – Cluster headaches are a series of short and painful headaches that can occur every day for weeks to months at a time. Hemicrania Continua – Hemicrania continua, or continuous headache, is a rare type of headache that doesn't stop. There isn’t a one size fits all migraine symptom and the same is true with migraine triggers. What can set one person’s migraine off can be a totally different from another person's migraine trigger. Identifying your trigger can help you avoid a migraine attack by avoiding the trigger. 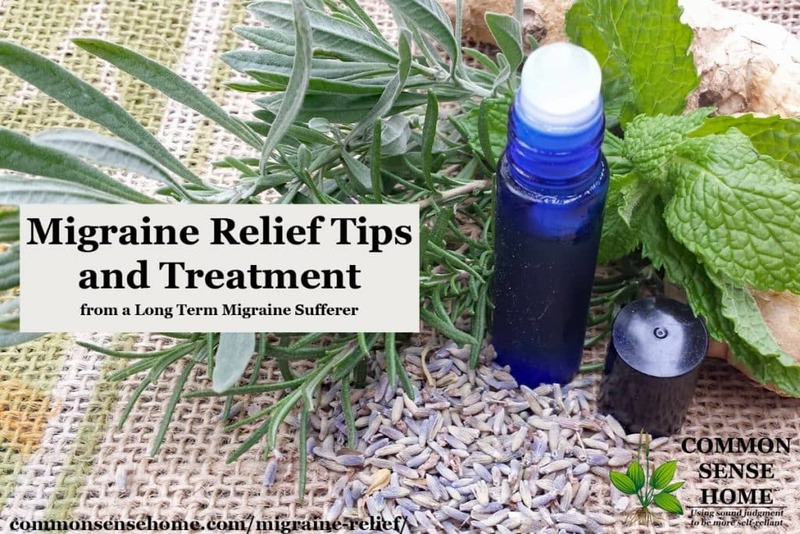 Since my husband and I suffer from two different types of migraines, the methods we use for migraine relief often vary. We have both found relief using the following treatments. Darken the rooms – Migraines increase sensitivity to light, close the blinds and turn the lights off or wear sunglasses. Reduce Noise – Even white noises can sound like a marching band during a migraine, unplug, turn off the TV, let the kids play in the yard and get some peace and quiet. Reduce Smells/Odors – Migraines can cause nausea and even vomiting. Wash off perfume, postpone cooking, and remove plugins or candles. Have a cup of coffee – caffeine alone can relieve migraine pain in the early stages or enhance the pain-reducing effects of acetaminophen (Tylenol, others) and aspirin. Submerge your feet in a bucket of hot water (as hot as you can stand it) for two minutes. Place a cold rag on back of neck. After two minutes in the hot water, remove feet and put in a bucket of ice water for two minutes. Repeat process for 20 minutes. This process will draw the blood to the feet and away from the head. Feverfew (Tanacetum Parthenium) A 2011 review published in Pharmacognosy Review suggested that feverfew is an effective treatment for migraines, fevers, the common cold, and arthritis. Feverfew leaves contain many different chemicals, including one called parthenolide. Parthenolide or other chemicals decrease factors in the body that might cause migraine headaches. Feverfew provides migraine relief when taken as a preventive daily supplement and not as an instant relief method. Ginger (Zingiber officinale) – Ginger has been well-documented as anti-inflammatory, antiviral, antifungal, and antibacterial. 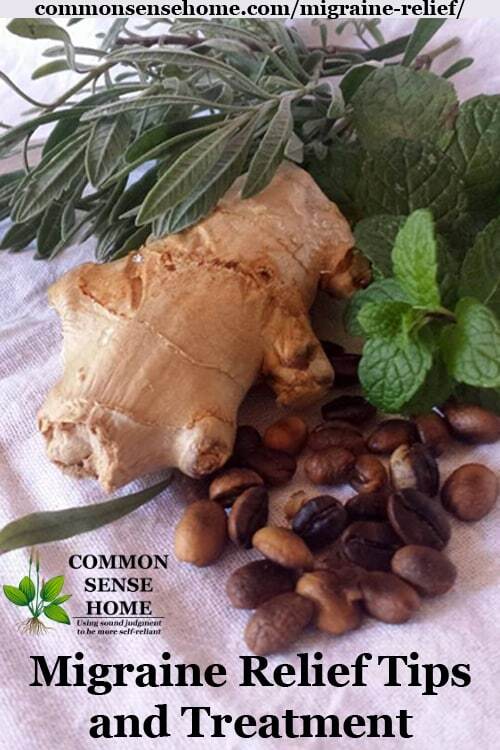 In a published study by the Journal of Phytotherapy the effectiveness of ginger powder in the treatment of common migraine attacks is statistically comparable to sumatriptan. Ginger also poses a better side effect profile than sumatriptan. Peppermint (Mentha x balsamea) – Peppermint offers a cooling effect, stimulates blood flow and inhibits muscle contractions. A study published in the International Journal of Clinical Practice found that menthol was effective at stopping migraine pain and easing nausea. Drink mint tea to aide with nausea caused by migraines, and use diluted mint essential oil topically (such as the migraine pain ease recipe below). Herbs and essential oils have been used for many years to treat a plethora of symptoms. This Migraine Pain Ease blend of essential oils helps ease the symptoms of migraines and headaches. Note: Do not use essential oils on children, and test on a small patch of skin on the wrist for sensitivity before applying to the neck and head. Replace ball and lid, shake well before use. 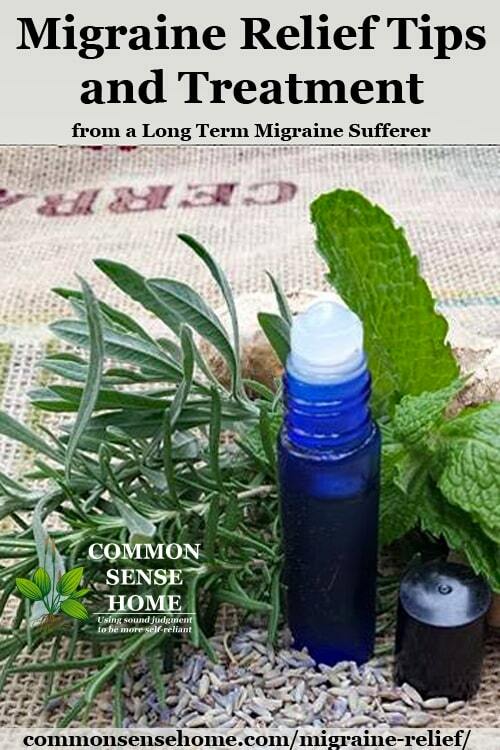 I use the Migraine Pain Ease on the back of my neck and my temples. I also use on my sinuses when I have a cold and it helps relieve the sinus pressure. If you have suffered from migraines or headaches, what natural treatment offered you relief? 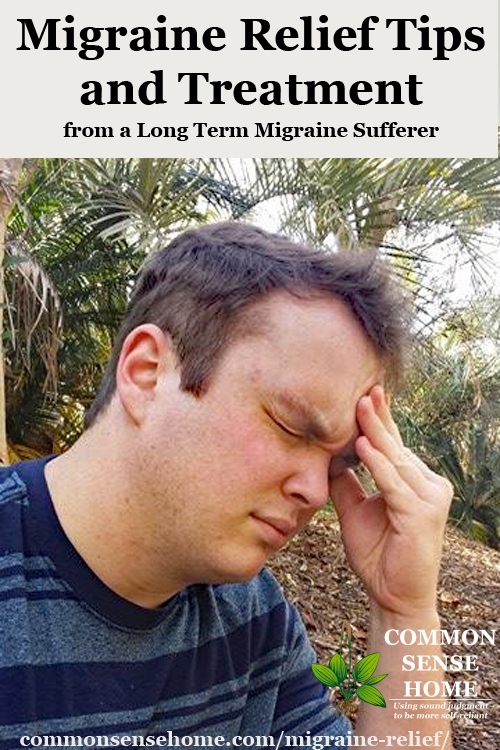 I suffered from pressure related migraines due to weather changes when I moved to Florida. Last summer I had a daith piercing done and haven’t had a weather related migraine since then! My husband still gets them and I’ve tried to encourage him to get the piercing but he’s not too keen on having an earring. I don’t know the success for other migraine triggers but it’s been life changing for both myself and a good friend who followed suit after seeing my success! Peppermint is my go to! Also I put a cold pack on my neck and a hot pack on my feet! There is a direct correlation between migraines and magnesium deficiency. Oral supplements are poorly absorbed altho some are better than others. A good alternative is epsom salt baths. It won’t solve any thing but it’s a good relief mechanism. Do some research for yourselves. I have a very close friend who had debilitating migraines, who often required IV magnesium supplements. She finally found an oral supplement that was readily bioavailable. Personally, my migraines were hormonal based. Since I went thru menopause I have had only one or two. So that is something to discuss with your doctor as well. I know the pain all too well. Good luck to everyone. Just wanted to share additional info. Thank you for sharing your experience. Sugar can bind magnesium in the body, too, making it unavailable, so that’s another consideration. Magnesium is also very good for regular headaches and muscle aches. Laurie, I enjoy your articles. I had periodic migraines with aura for years before menopause. Feverfew worked wonderfully for me. Because I grow a variety of herbs, when the aura came on I would go to the garden, pick fresh leaves, and eat them. It is bitter but far better than pain, which the feverfew prevented. In winter I took capsules, which are not as fast acting. Feverfew is cast off in urination, like caffein. Thanks for sharing your experience, Sharon. Those bitter compounds are probably why it worked.